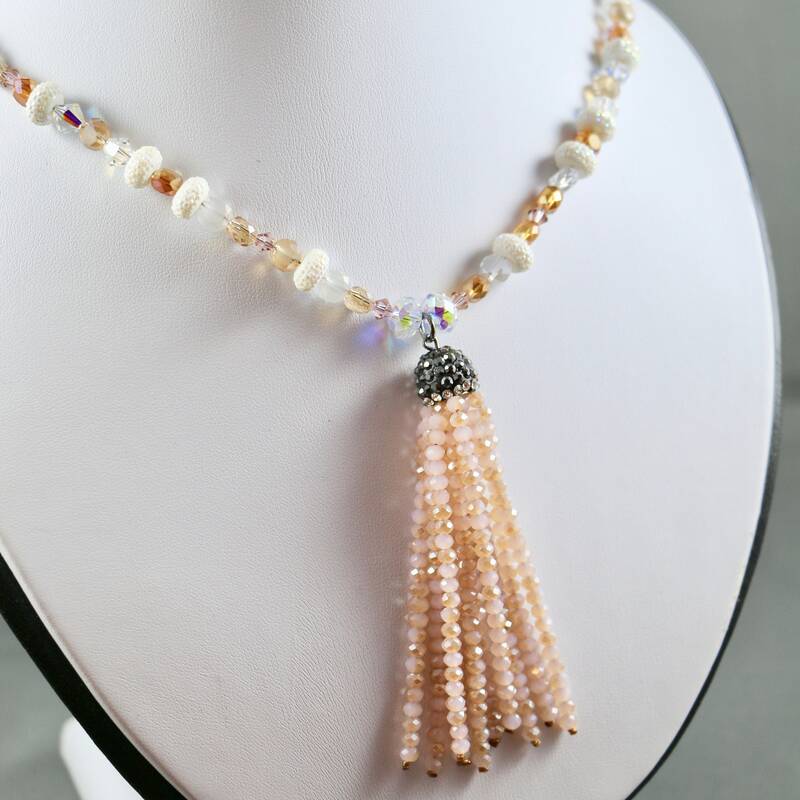 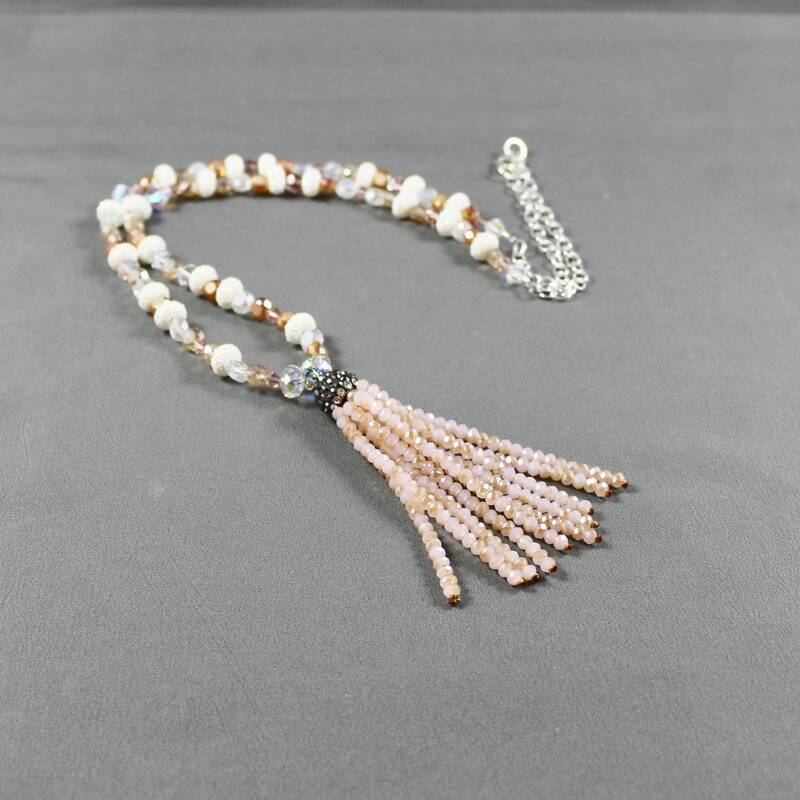 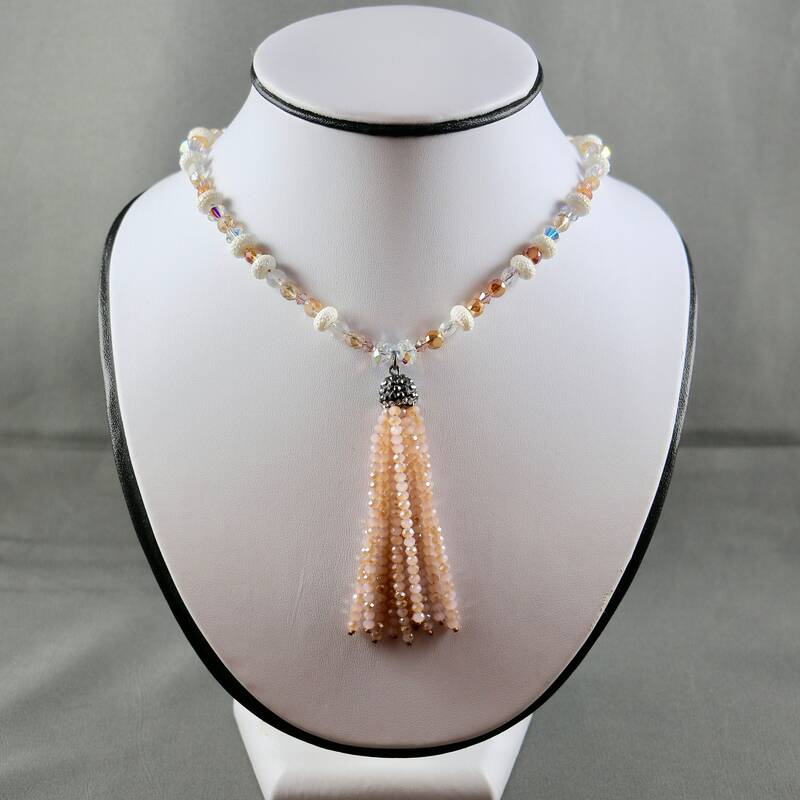 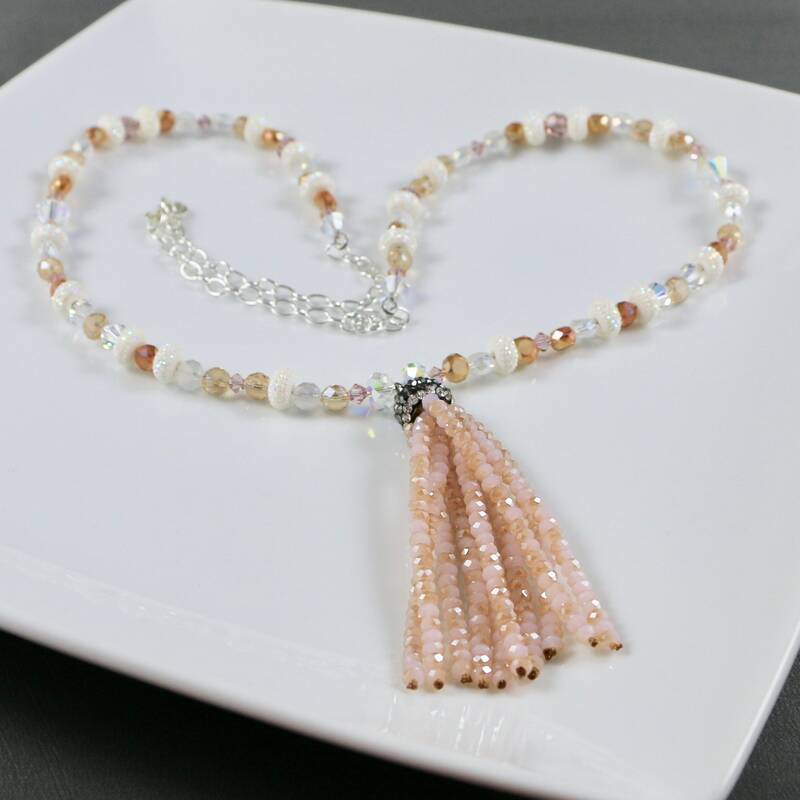 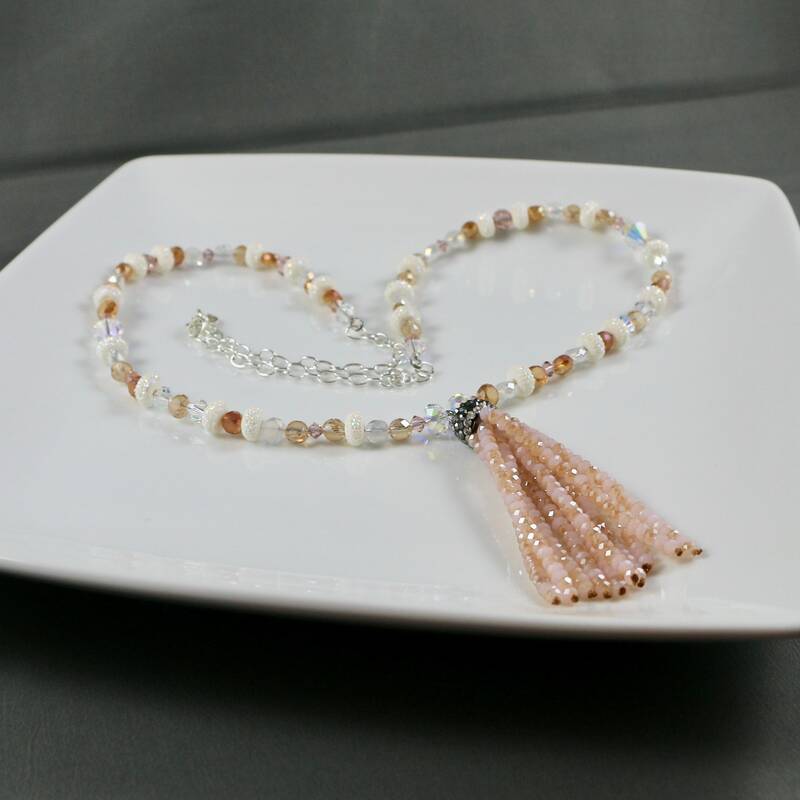 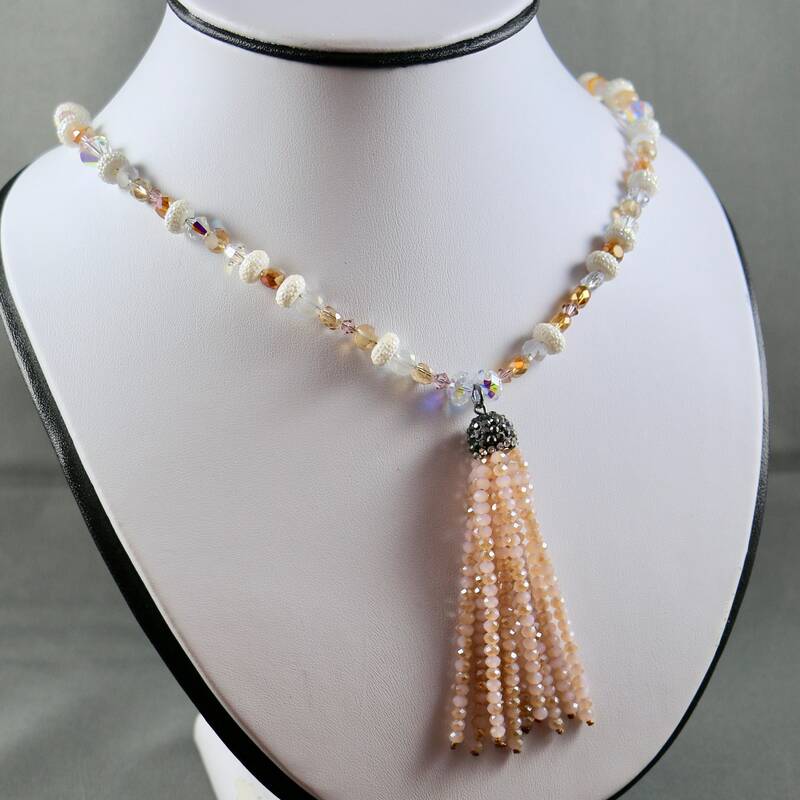 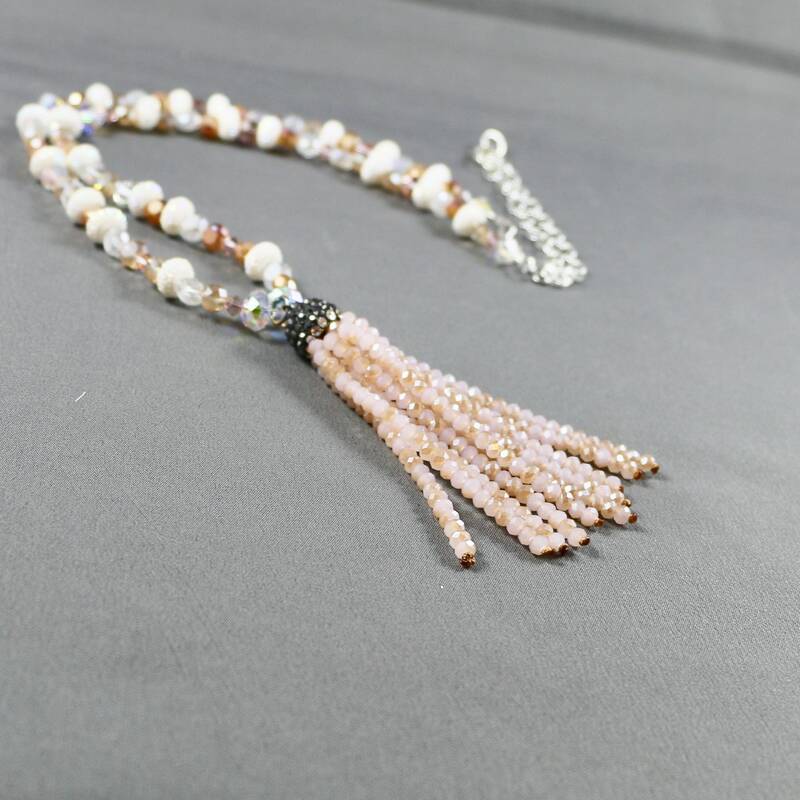 Necklace Ingredients: Long, stunning beaded tassel style necklace made out of various crystal and glass beads in soft, creamy pinks, oranges and white. 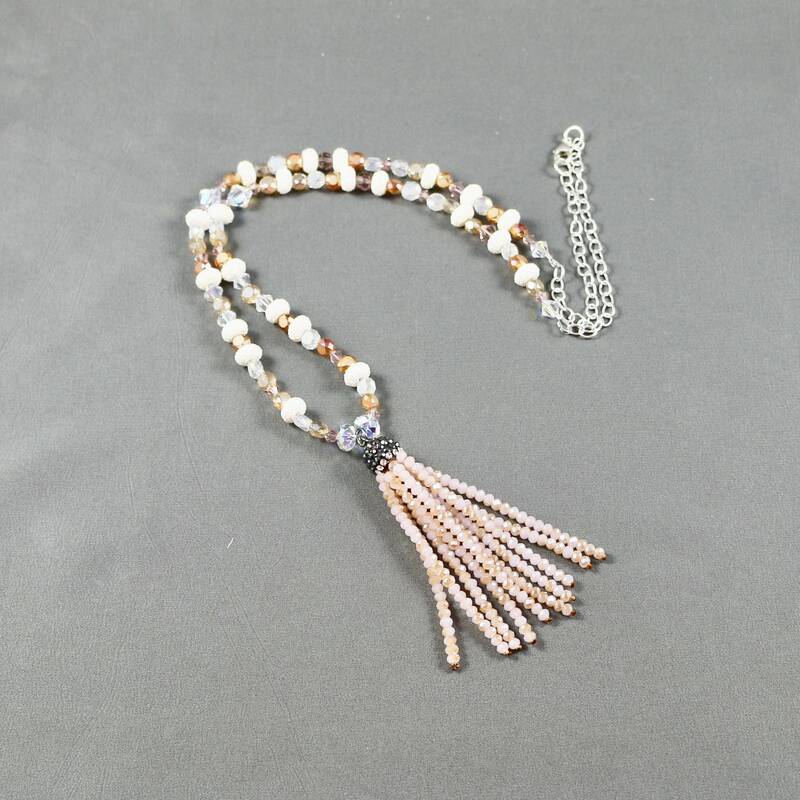 Tassel is made out of 4mm crystal rondelles and is approximately 3" from end to end. 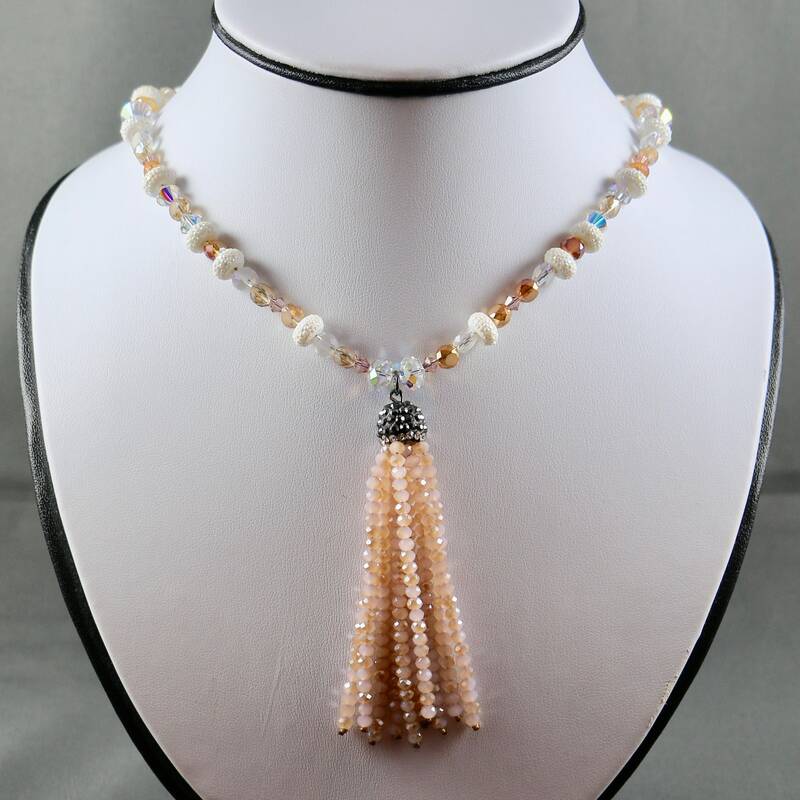 Necklace total length from end to end is 30".